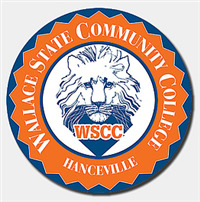 My name is Kristi Nyquist and I work with a program at Wallace State called Talent Search/TRIO. My colleagues and I work with students at your high school to help them get ready for college. This summer we are having an Information Night for students and parents to come hear more about what our program is about and how it might be just what you’re looking for. Do you have questions about what you want to be when you grow up? Do you wonder what it takes to get into college? Do you wonder how much it costs – and if you’ll be able to afford college? We have answers!!! Mainly, we’d like to meet you and have you (and your parents!) meet us and explain how being in Talent Search/TRIO can help make your high school years less stressful and more exciting! Timeline for college preparation – what happens each year of high school? Career Game – finding out what you’d be good at! Best of all, being in Talent Search/TRIO is free! All activities and resources are free. So why not come see us? We’re excited to meet you!!! Talent Search Advisors visit area middle and high schools to work with students who de-sire these services. Advisors with tutoring responsibilities are in school weekly, where-as high school advisors typically visit schools once or twice a month. Advisors meet with high school students in small groups or indi-vidually to discuss annual goals and com-plete activities designed to facilitate a stu-dent’s readiness for college. These activities differ from year to year, so students are pro-vided an outline of activities at the begin-ning of the year. Additionally, students are invited to partici-pate in large group events, such as visits to college campuses. These are usually held 1-2 times per year. In order to participate in a Talent Search program, a student must complete a Talent Search Application From. This form requires information about a family’s income, and must be completed by a parent. These forms must be completed and returned to TS Advisors as soon as possible. Applicants will be chosen from the total number of en-tries.